The decision — Tips on choosing between multiple offers! Dr Chris Chopdar and Dr Neel Burton are the founders and directors of Oxford-based Get into Medical School (getintomedicalschool.org). Both are medically qualified and members of the Royal College of Psychiatrists. In addition to his work at GeMS, Chris works as an independent psychiatrist and life coach. Neel regularly tutors medical students at Oxford, is the author of two medical textbooks and has won the British Medical Association Young Authors' Award. 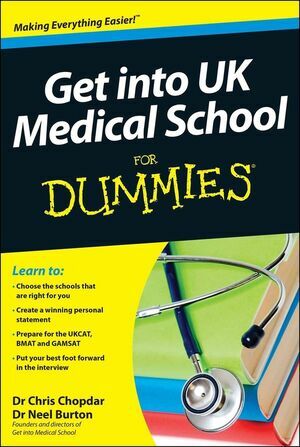 Chris and Neel are also the authors of UKCAT For Dummies.